What are these documents about? And what can the European Parliament do to improve the situation? Malte Aehelger, assistant to Sven Giegold MEP, explained that in developing these initiatives they looked at legislative issues, internal market legislation, social and regional policies and agricultural policy. They then identified measures promising a better avenue for social economy such as the improvement of public procurement rules, a favourable regulation on structural funds and greater recognition of its role through statutes. The other flagship document, the INI report, is a revision of the Directive supporting the European Cooperative society regulation. This will be used to hammer out a general position of the EP on cooperative societies. Apostolos Iokamidis from DG Enterprise of the European Commission outlined other initiatives undertaken by EU Institutions to favour social economy enterprises. He emphasized that SE enterprises have played an important role in the world’s economy during most of the 20th century, but they lost attention over time, due to the overruling liberal way of thinking. More recently however, this has started to change. The crisis has shifted the focus of policy makers to longer term objectives and to people, instead of capital, and it has helped putting social economy enterprises on the agenda again. Social economy touches a huge range of individuals across Europe. They represent 2 million entities i.e. 10% of all European businesses and employ over 11 million paid employees (the equivalent of 6% of the working population of the EU). The Commission will propose before the end of this year a new draft Regulation on the Statute for a European Foundation of public benefit purpose in order to facilitate activities and fund raising across the frontiers. After the adoption of this text, the Commission will eventually present a new text on the European Association. The forthcoming social business initiative will include a series of new policy measures in an effort to create a legal and administrative environment favourable to the development of social enterprises. 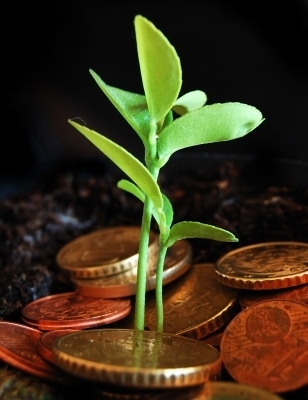 There will be an extension of old actions (in areas like State aids, social services of general economic interest, taxation) and new initiatives will be taken like the establishment of a new scheme for social investment funds for the leverage of dormant savings, (UCITS), creation of stock exchanges for social enterprises, specific mention in various European Funds to social enterprises, the examination of existing ethical labeling promoting the visibility of social enterprises, the wider use of social clauses in the public procurement rules, as well as a more comprehensive policy on corporate social responsibility. Finally the Commission will organise a large conference in order to discuss the way to design an adequate policy-making to help develop social entrepreneurship in the European Union. In the following part of the hearing, representatives of the main actors of social economy, that is to say mutual societies, cooperatives and associations brought in the discussion their specific expertise and perspectives on how social economy can offer a way out of the crisis. Eleni Spanopoulou, Vice-president of AIM- the International Association of health and social protection organizations, explained how mutual societies help to solve some of the main challenges in times of budget constraints, like how to ensure universal access to quality and affordable healthcare services. Mutual societies help to fulfill this objective as they have a very long history of responding to unmet social needs, putting the general interest and social goals as primary corporate objectives. Mutual societies’ specificity essentially lies in the respect of their values and governance principles: Mutuals are person’ based societies and have no shareholders. They do not have to reward equity investors by paying dividends. Klaus Niederlander, Director of Cooperatives Europe emphasized that getting out from the crisis is also a problem of building trust. Continuing to rely on the business as usual model will not produce any positive result. Cooperatives represent an alternative model of doing business since they are centred on people’s needs, they are owned by their members and they are strongly embedded in the local community. Cooperatives had already demonstrated several times to be resilient to economic and social crisis and to be able to produce innovation and preserve employment. 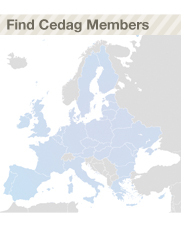 Patrick De Bucquois, CEDAG President, made clear in his intervention the features that distinguish associations from any other actors in the social economy. Associations have the fully binding non-distribution constraint, namely its members cannot benefit from the assets of the organizations and are important drivers of participatory democracy. As other social economy actors, associations are not on the market which means that they cannot be taken over by short term profit looking investors. Referring to the causes of the present crisis he stressed that they might be traced especially to financial engineering and inequalities. Social economy actors have proven to be a shield against the crisis by their very nature of persons-based organizations and by the democratic nature of decision-making. The meeting was closed with the message that solidarity, collaboration and democratic governance is key to counteract economic crisis and to avoid the risk of going back to fierce nationalism. Social economy has a wealth of expertise to teach in this respect and for this reason should be fully supported to realize its full potential. Many expectations in this sense are placed the forthcoming social business initiative from the Commission for creating a legal and administrative environment favourable to the development of social economy enterprises.